Try Cucina Fresca’s Alfredo Sauce for your next pasta night! All their pasta and sauces are made with fresh, natural ingredients. Made with cream, whole milk, Parmesan, and aged asiago, it’s the real deal for fresh pasta. 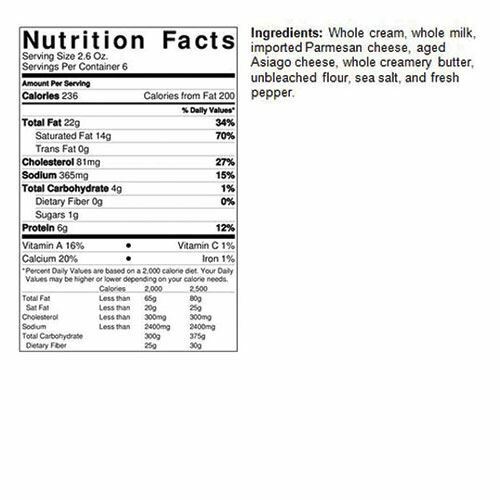 Enjoy with a salad, garlic bread, and a glass of...milk! Add to your cart to get Cucina Fresca delivered to your doorstep. Superb Alfredo Sauce, Better than Mine!! 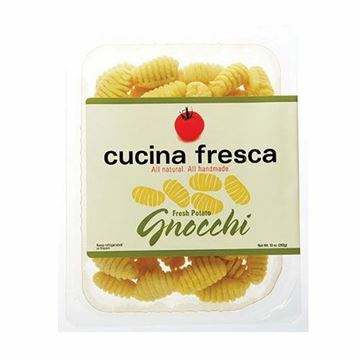 So nice paired with the Cucina Fresca fresh fettuccini noodles, serve to guests with separate dishes of cooked portabella mushrooms, grilled chicken breast strips and easy warmed frozen (cooked) shrimp. Everyone gets what they want, and dinner didn't take hours to make. Love! Usually I make Alfredo because it’s so easy, but on those nights when I don’t have a lot of time this has become my go to. It’s is so good! Loved it! Much better then a lot of the jarred sauces. Tasted close to homemade! we like it saucy so would order two for a full pan of Chicken Alfredo! I started making my own Alfredo’s because I could never find any good ones in a jar! This one is delicious! Thick and creamy! We added some salt, and a sprinkle of Parmesan! Yum! Definitely will buy again!